AUSTIN, TX --(Marketwired - March 09, 2016) - Red Oak Compliance Solutions ("Red Oak") recently updated AdMaster Compliance™ ("AdMaster") to take advantage of the latest capabilities of FINRA's AREF interface for real time, bi-directional communication. AdMaster's AREF integration allows for the automated submission of materials for review to FINRA and then captures the response letters as FINRA publishes them. All response letters are attached directly to the relevant AdMaster submission as supporting material. Email notifications regarding the receipt of response letters are sent out in real time, saving time and ensuring material is approved for use as fast as possible. 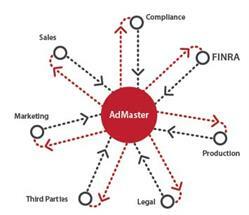 Find out why AdMaster is the best advertising review solution in the world. Visit our website at www.redoakcompliance.com/admaster. Red Oak Compliance Solutions LLC, headquartered in Austin, Texas, is a full service compliance consulting firm helping broker-dealers, advisers, investment companies and hedge funds meet regulatory requirements and increase ROI. Red Oak's philosophy is based upon three founding principles: understand the needs of our clients; provide exceptional customer service; and deliver cost-effective solutions to address those needs. Red Oak services the compliance needs of over 600 firms ranging in size from single advisor firms to large global public companies. 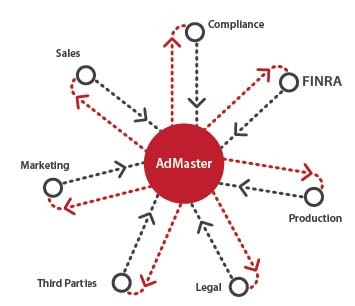 Red Oak's exclusive AdMaster software is a web-based SaaS application improving the advertising review/regulatory process. AdMaster was designed from the very beginning to be highly flexible, relieve administrative burden and build efficiency into the advertising review process. Total client assets under management exceed $5 trillion -- with these firms relying on AdMaster and/or Red Oak consultants to review marketing material for compliance.